Federal Tax Fraud Investigation Defense Attorneys - Oberheiden, P.C. Tax fraud is a general term that may implicate several different sections of the internal revenue code. But generally, tax fraud is distinguished by the tax payer knowingly and willfully failing to pay taxes that are due. Tax fraud can result in either civil or criminal penalties including up to $500,000 in civil fines and five years of imprisonment for criminal violations. If you are under investigation from the IRS for potential tax fraud, it is important to retain experienced attorneys to assist in your defense. The Internal Revenue Service (IRS) is tasked with collecting taxes. It processes trillions of dollars in tax payments yearly, and it processes hundreds of millions of tax returns. The IRS also enforces the Internal Revenue Code, and its criminal investigations division investigates tax related crimes including tax fraud. The Internal Revenue Code is very complex, and the IRS’s tax fraud allegations are often very technical. But generally speaking, tax fraud has two components: a mistake (which may include mistakes like failing to file all or a portion of your tax return or filing a return that is incorrect or has incorrect supporting documentation) and intent (the mistake was done intentionally to underpay taxes). What Should I Do Once I Learn of a Tax Fraud Investigation? Once you learn that you are under investigation for tax fraud, you should immediately engage an attorney. It is not only your money at risk, but also your liberty. Your attorney will guide you through the critical steps that you must take to limit or eliminate your liability. Once you have hired an attorney, coordinate all communication with the IRS and third parties regarding the investigation through your attorney. Anything you say can be used against you. If you used a CPA to prepare your taxes, put your attorney in contact with that individual. Your attorney will begin by understanding what you made and what you paid. Your attorney may recommend that you make additional payments. Once you and your attorney understand the basic facts, your attorney can reach out to the IRS investigators and advocate on your behalf. Communicating through an attorney has several benefits, but one of the primary benefits is that it gives you greater control over the flow of information. Your attorney will determine whether the investigation is civil or criminal in nature and will work with you and the IRS to come to a resolution. If the investigation is civil, your attorney’s primary goal will be to keep it that way. If the investigation is criminal, your attorney may try to achieve a civil resolution. 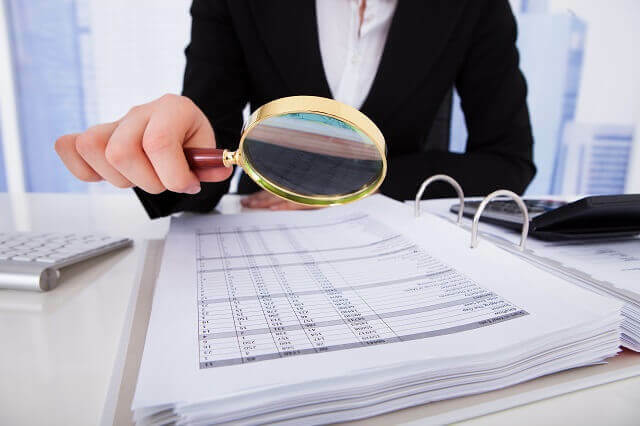 It is important to have an attorney that is familiar with the Internal Revenue Code and has considerable experience with federal government investigations. The code is complex and federal investigations and enforcement actions are uniquely challenging. You want a firm that has a proven track record of success in the pre-trial investigation and at trial. Ideally, you want a firm that has attorneys with government backgrounds as that can give unique insight into the investigation and settlement process. Nick Oberheiden has successfully defended individuals and businesses against allegations of fraud brought by the DOJ, OIG, CMS, IRS, FBI, DEA, DOD (Department of Defense), and other federal agencies. Dr. Oberheiden is trained in negotiations by Harvard Law School, and he received his Juris Doctor from UCLA School of Law as well as a PhD in law. If you are under investigation for tax fraud, you may contact Oberheiden, P.C. for a free and confidential consultation. Our attorneys are available seven days a week, even on weekends, to speak with you about how we may be able to help you with your case. Oberheiden, P.C. represents clients across the country facing tax fraud investigations.